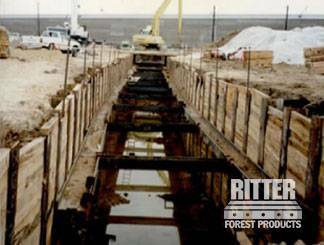 When working with heavy construction, excavation or other types of equipment, stable soil conditions are a constant concern. Inclement weather or surrounding rivers, marshes or ponds can quickly make your site unstable. 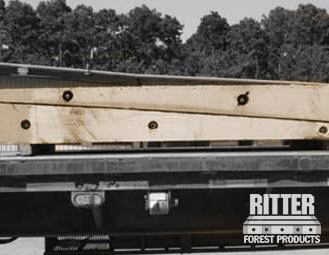 Ritter Forest Products provides Georgia crane mat rentals and other custom laminated timber mats for rent to stabilize your working area and make it easy to use and transport heavy equipment through any conditions. Flooding, storms, sinkholes, nearby water features and other factors can create an unsteady work site in as little as a few hours. If this occurs, your construction equipment, cranes, excavation equipment and other machinery can get stuck or may even fall over if the machine’s weight is not distributed properly. This not only puts your expensive equipment at risk, but it also puts your employees in danger. The unstable ground is a serious hazard that will, at the very least, slow down your work schedule and put you behind. With laminated timber mats for rent, you can create a stable working area and ensure that your machinery and your employees are not at risk. Our Georgia crane mat rentals allow you to work in the harshest conditions, including heavy rains, in or around riverbeds or lakebeds, or near marshes or swamps. 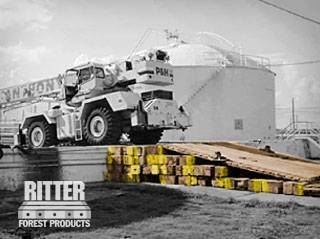 If you have questions about any of our mats, skids, cribbing or other products, contact us. We can provide you with a quote for any products and make sure that your order is fulfilled on a timeline that works best for you. 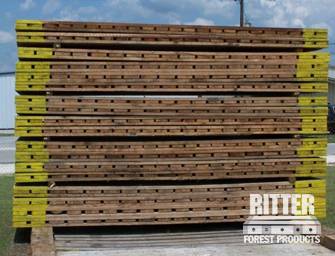 Learn more by calling Ritter Forest Products today.